← Cherry Blossoms Bloom in September! Last weekend my mother and I went to the Japan Festival at the Missouri Botanical Garden in St. Louis. Every year we look forward to this celebration of all things Japanese. Every year I think I don’t need to buy any more Japanese items, but each year I find something I must have. This year it was an antique “music doll” used in the celebration of Girls’ Day…and a cute Pocky Sticks design tote bag. I also could not resist buying a child-size yukata for my youngest daughter so I can retire to strictly decoration the one her grandmother made long ago. Every year I take this daughter and one friend of her choosing to the festival for the fun educational experience. I have tried to teach both my children about the Japanese culture. Although my high school child is not at the moment interested in learning about any culture besides the current teen culture, the youngest is still curious and I like to encourage her. In these wonderful times when diversity is celebrated here in the U.S., it is easy to find festivals that teach about different cultures… Greek festivals, Scottish days, Chinese New Year parades, native American gatherings, international festivals, even Renaissance festivals — so many to choose from. I think it is important to learn about one’s own heritage in particular. Even if you are so American that you feel totally disconnected from your family’s beginnings, it is still part of your history and worth learning about. In my opinion, it is a shame to totally lose one’s history and culture as that adds a depth and richness to who we are and where we came from, and can be a source of pride. Heritage and tradition are the strings that connect one generation of a family to another. 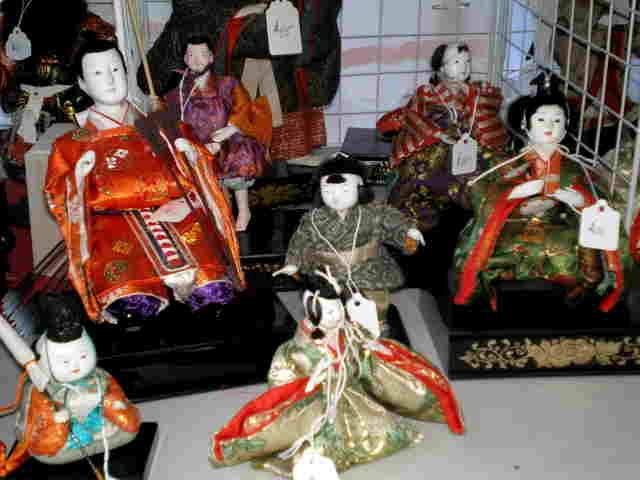 Someday my oldest child may come to appreciate her Japanese background, and when she does I will have all these wonderful items I’ve collected from the Japan Festivals and other places that I can tell her stories about.